Viksya, this is gorgeous! Lovely stamp and your colors and layout are beautiful. 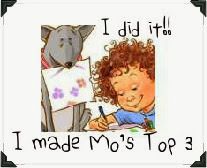 Thanks for sharing your artwork and joining in the fun at House Mouse and Friends Monday challenge blog. LOve your layout. Very pretty card. Of course I love this, same stamp I used! Beautiful colors and design and perfect coloring on that sweet image. Thanks for joining us at the House Mouse and Friends Monday Challenge. Nicely done. This is a very pretty card. I love the colors and your background paper is just lovely. What a sweet image and you colored it so nicely. Thanks for sharing. 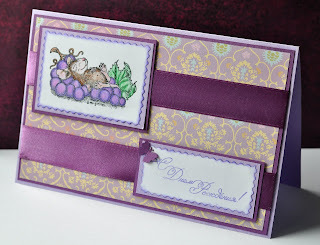 Hi Viksya, your card is gorgeous, I love those colours and papers, such a sweet image, great collouring. Hi Viksya, what a sweet card. Love the colours, the paper and the layout is very effectful! Fab entry, thanks for joining House Mouse & Friends challenge, good luck.